We're back with another goddess. It's Hestia, goddess of home and hearth. The first offering at every sacrifice in a household, went to her. Her symbol is, surprise, fire. 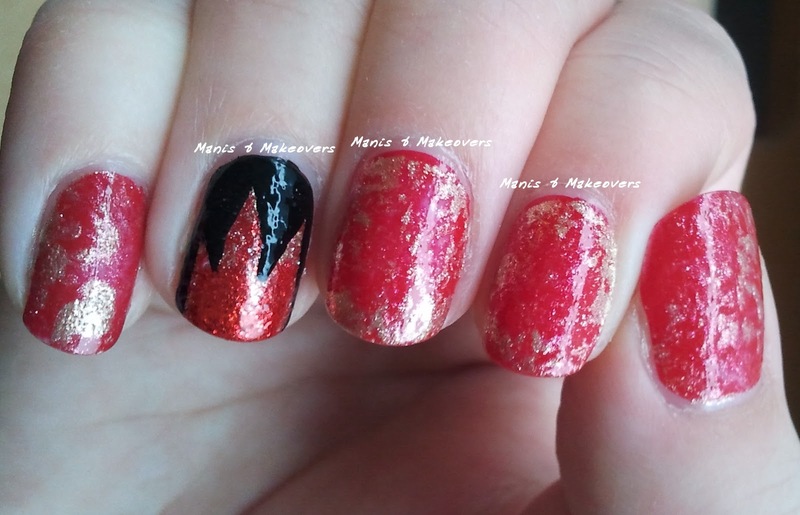 Hence fire is on my nails now! This picture was taken in diffuse daylight. This picture was taken in artificial light. Then I saran marbled with Miss Sporty Clubbing Colours gold. With my striper from Etos, I freehanded the outline of the flames on my accent nail, and since it is my right hand, that is shown here, I had to do it with my left (which still has Hygieia on it, with the pretty snake, that I just could NOT remove yet ;) ). I'm sorta proud of my left hand for drawing this while shaking BADLY! 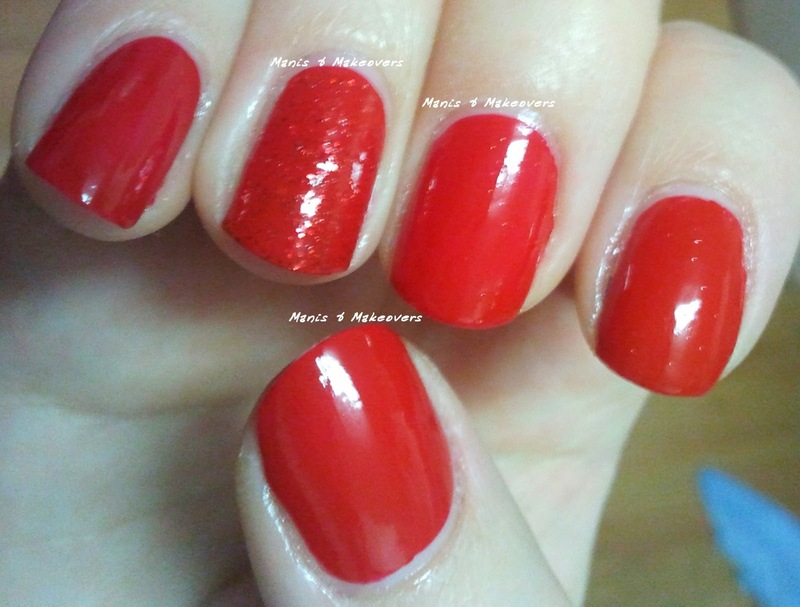 Then I added some more Red Dazzle to the accent nail, in the center of the flames, to make it more fiery!